This post is mainly for my own knowledge as with age and NSX my brain doesn't seem to retain information as good as it use to. I recently moved house and was no longer in a Virgin Media area and since I was ordering Sky television I also opted for their Sky Fibre unlimited package as well. I'm a big fan of the MikroTik routers and switches and use a RB751G in my lab as my default router and L3 gateway and obviously wanted to continue using this in my new house. 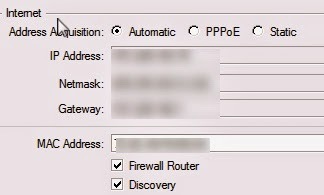 This option is used by DHCP clients to specify their unique identifier. DHCP servers use this value to index their database of address bindings. This value is expected to be unique for all clients in an administrative domain. 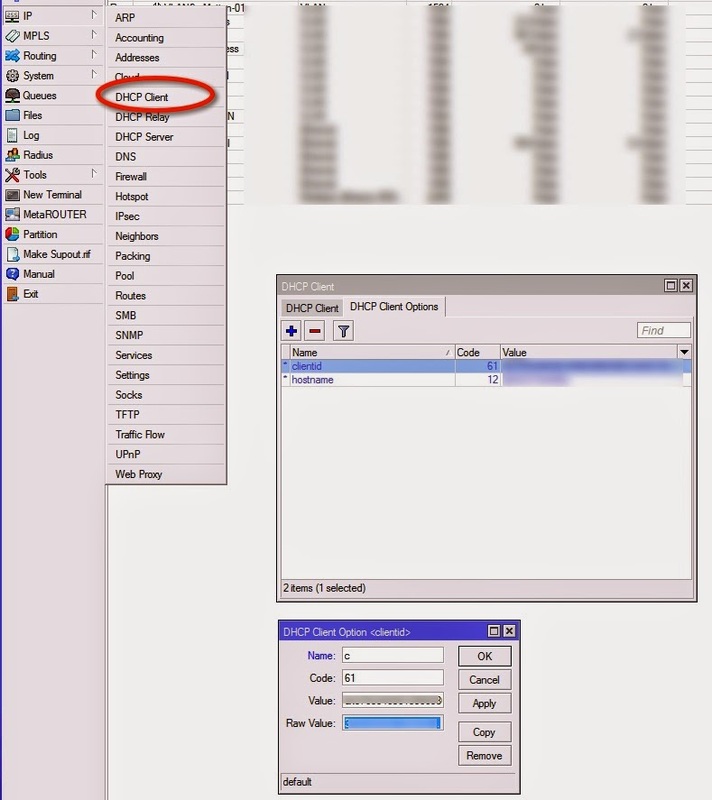 The client identifier MAY consist of type-value pairs similar to the 'htype'/'chaddr' fields defined in . For instance, it MAY consist of a hardware type and hardware address. In this case the type field SHOULD be one of the ARP hardware types defined in STD2 . A hardware type of 0 (zero) should be used when the value field contains an identifier other than a hardware address (e.g. a fully qualified domain name). For correct identification of clients, each client's client-identifier MUST be unique among the client-identifiers used on the subnet to which the client is attached. Vendors and system administrators are responsible for choosing client-identifiers that meet this requirement for uniqueness. I also configured the WAN port of my MikroTik with the same MAC address as my SR102 as I've read a few articles that say it can potentially take a few hours for the MAC address to time out which means if you need to swap back to the SR102 you potentially have wait before connectivity will be restored.